The Gemini condos in Ormond Beach are some of the most sought after vacation and retirement properties in our area due to the beautiful and tranquil setting along the no-drive beach. Here you will enjoy a wealth of amenities including an oceanfront pool, sauna, library, and fitness room to keep you in-shape and ready for those lazy days on the white, soft sands out your back door. There is on-site management to provide assistance and peace-of-mind, so you can relish in your new lifestyle here. 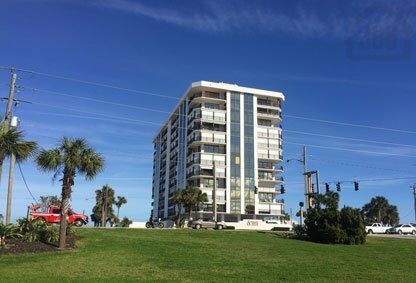 Best of all, Gemini only has 2 units per floor with a semi-private elevator that takes you directly to the foyer leading to your home, providing a privacy and security not found in some other Daytona Beach area condos. Call us today to discover Gemini condos and we will go to work to make your real estate dreams come true.